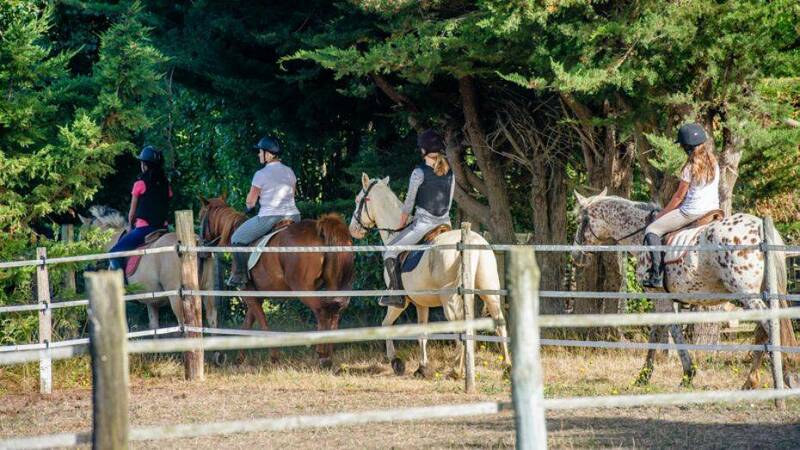 Our horse riding centre is open all year to welcome you on breaks at a gallop. 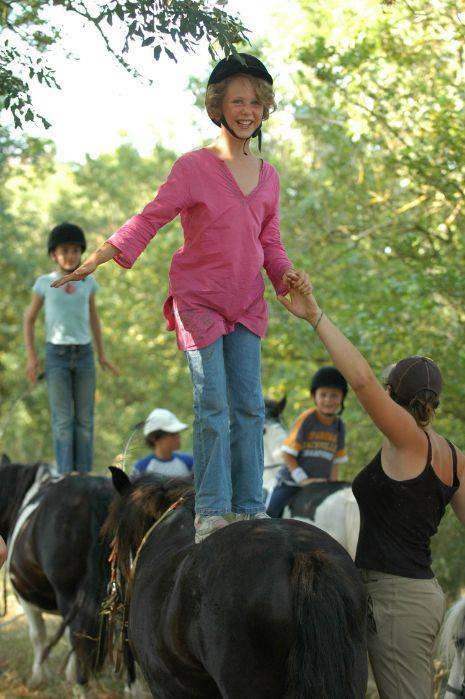 Learn how to ride or perfect your skills with our horse and pony lessons in the school holidays. 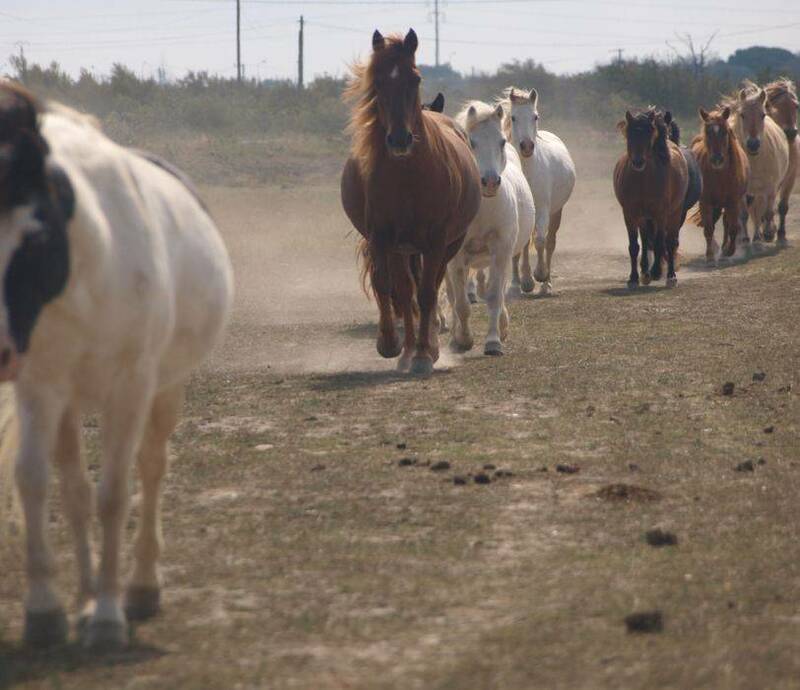 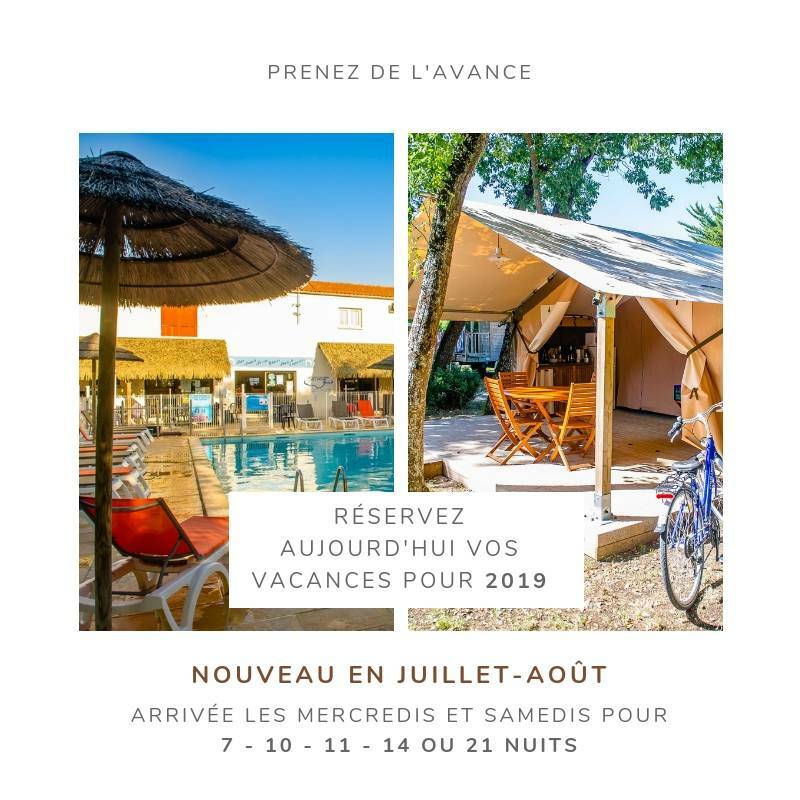 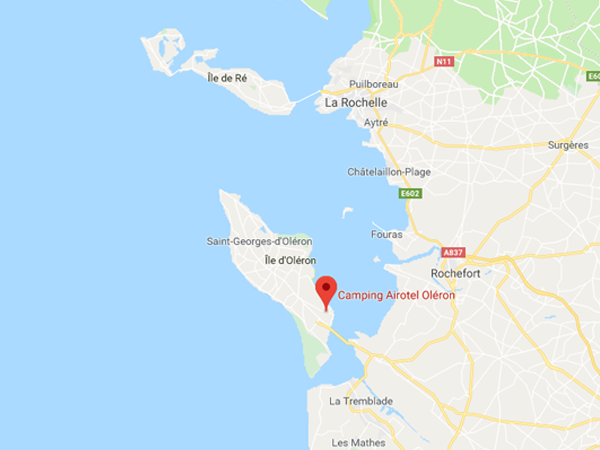 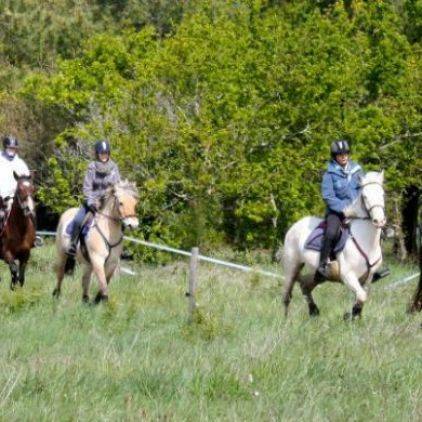 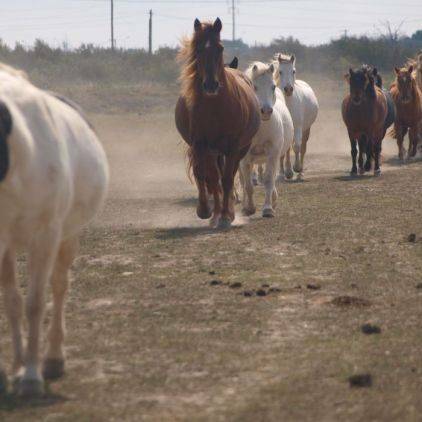 Budding cavaliers ride through the marshes whilst experienced riders trot through the Plage de Verbois all in a warm and friendly environment. 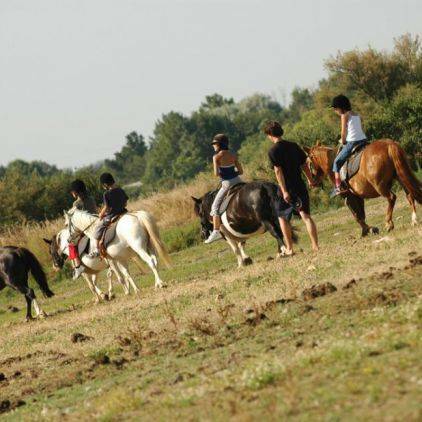 Intermediate riders can also go on rides through the vineyards and forests. 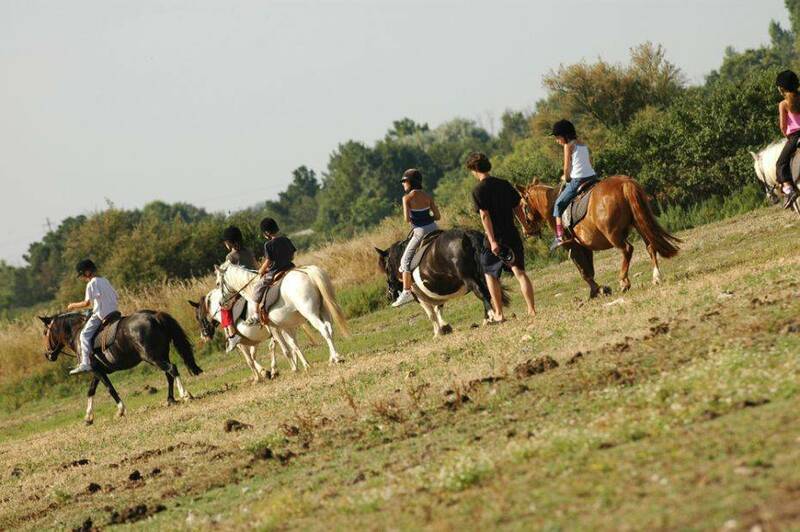 A variety of treks are available to introduce you to the many sides to Olérons scenery on horseback. 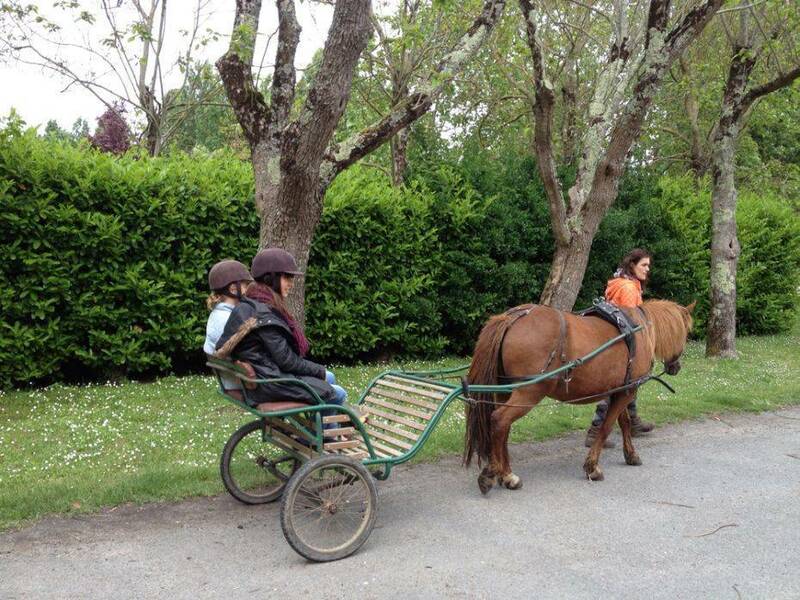 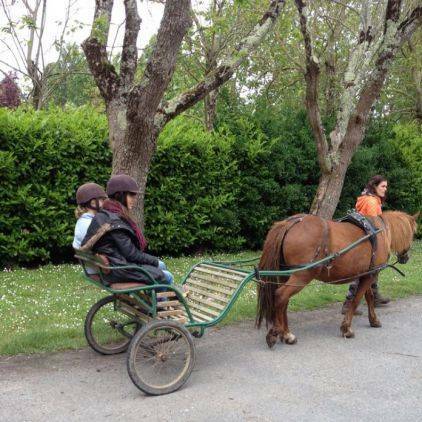 Little ones love going on pony rides on our Shetlands for full days. 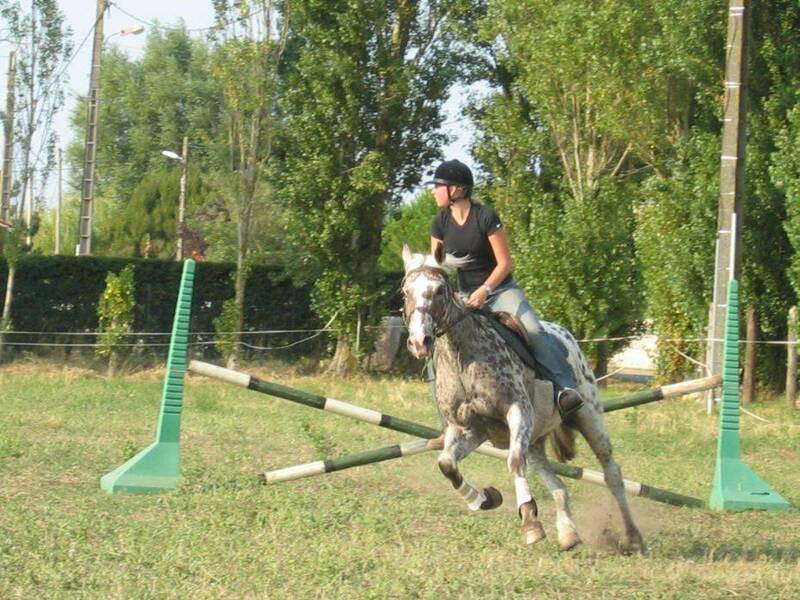 And don’t worry about safety! 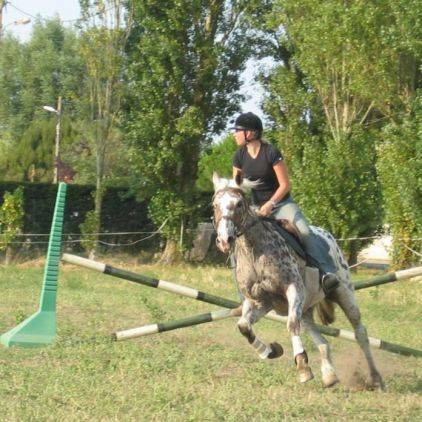 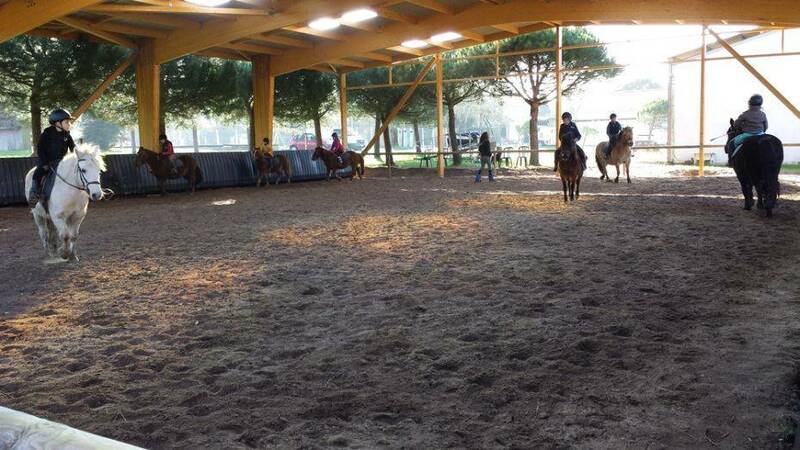 Our state-certified horse riding monitors supervise all our lessons, courses and rides. 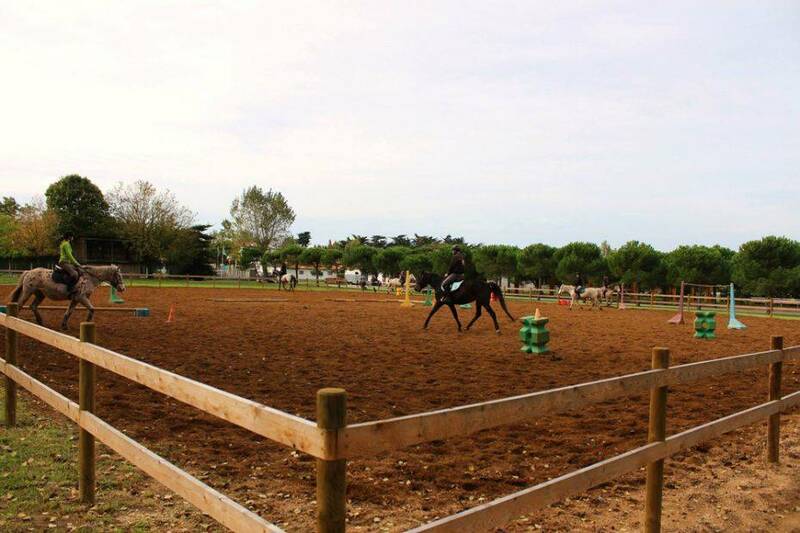 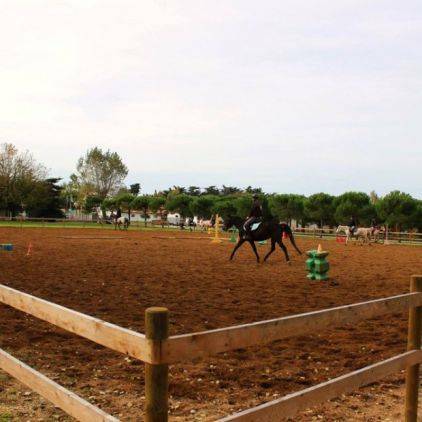 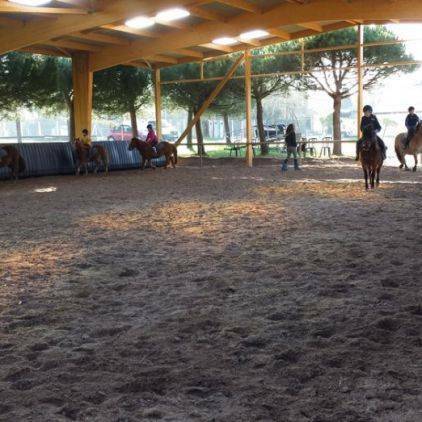 The horse riding centre has a 50m x 70m sand school and indoor riding school for lessons and courses. 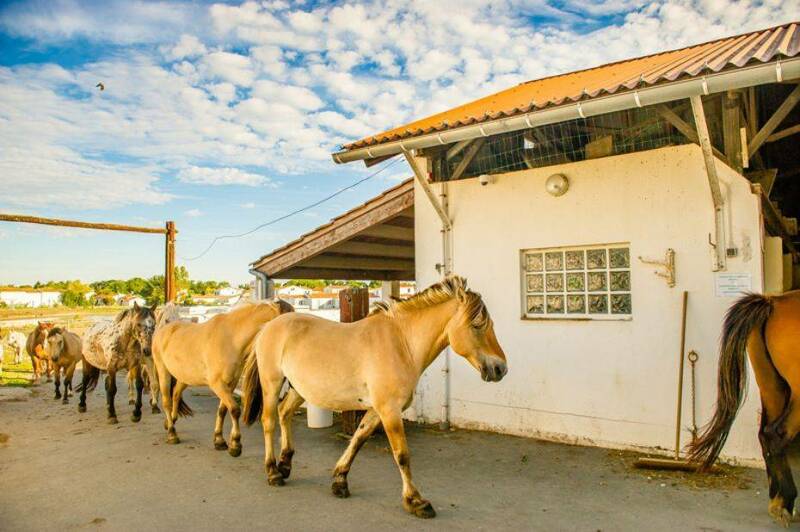 You’ll find all the equipment you need to saddle up at the animal feed store and saddlery. 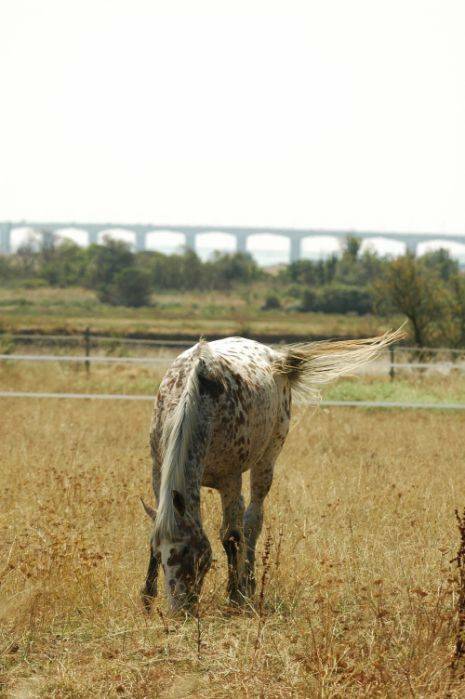 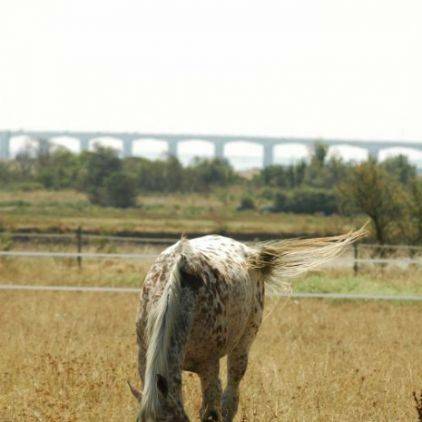 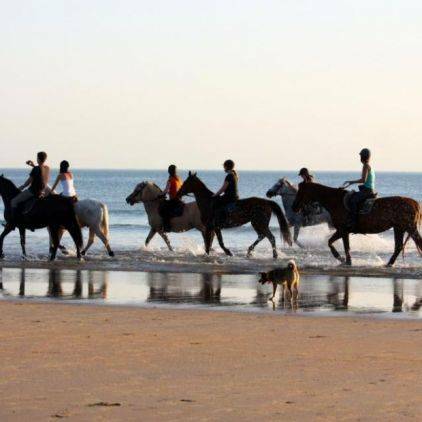 Want to bring your horse on holiday with you? 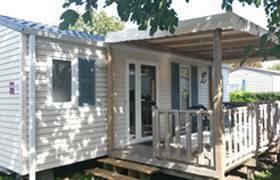 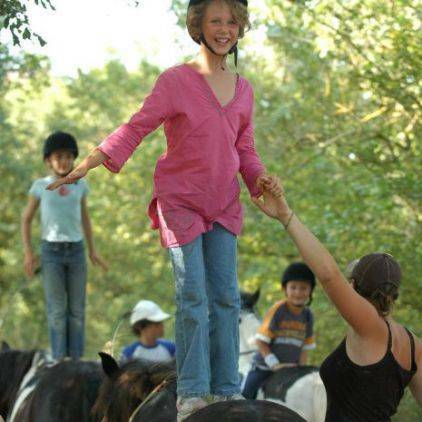 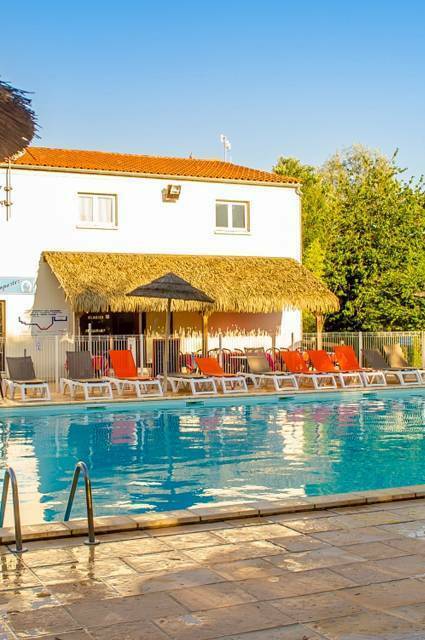 With over 21 hectares of land, the campsite is surrounded by meadows and horse paddocks. 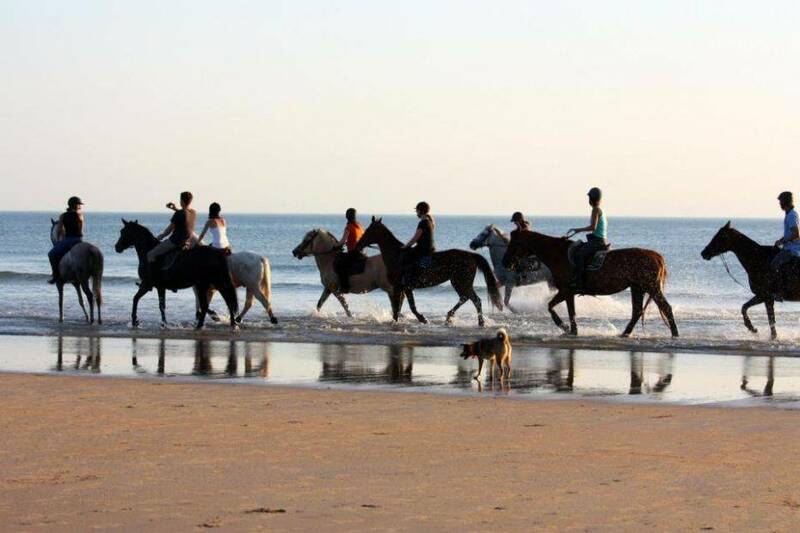 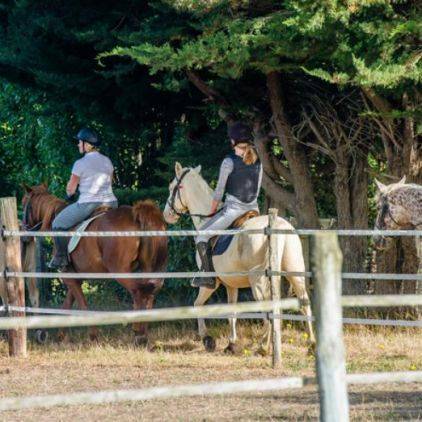 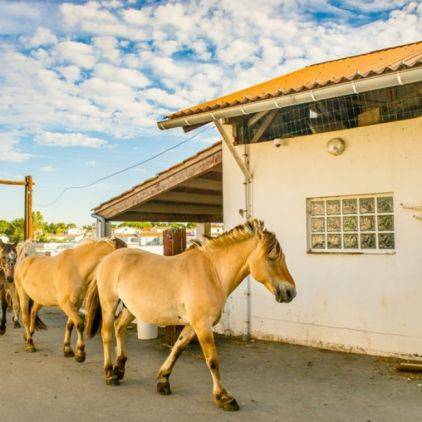 In groups, your horse club or on your own, enjoy being with your horse companion: stay next door to it and take it to explore our island.